175g. Filled with garlic butter. 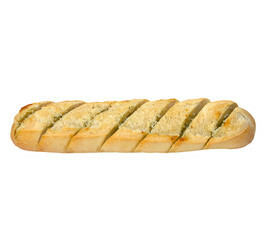 Bake from frozen in preheated oven 10-12 minutes, 180-200°C. WHEAT flour, water, yeast, salt (iodine), RYE flour, malted WHEAT flour, WHEAT GLUTEN, GARLICBUTTER(15%) (BUTTER, onion, garlic, salt, starch, parsley, antioxidant E330, natural garlic aroma.May contain traces of soya, mustard and sesameseed. The product composition may be changed at any time. Therefore always read the ingredient list on the packaging.